We help 1,000 people a year develop the skills, strengths and networks they need to tackle society’s biggest problems. We run courses that equip people to start, scale and strengthen organisations that make a positive difference. But we’re not a traditional school. Learning with SSE is inspiring, action-based and accessible. We support people in others ways too, such as funding and mentoring. Just having a look around? It all started in the 1990s with an amazing man called Michael Young. Michael was a serial entrepreneur who founded and co-founded dozens of organisations, including the Open University, the Consumers’ Association, and the Young Foundation (originally called the Institute of Community Studies). Michael realised he could multiply his impact by equipping the next generation of social entrepreneurs to start up brilliant organisations to create social and environmental change. He started talking to people with curious minds and passionate hearts, who also believed that society could be fairer. One of them was Charlotte Young (no relation), a pioneer in action-based learning, who went on to become SSE’s chair until 2017, and is still a trustee. 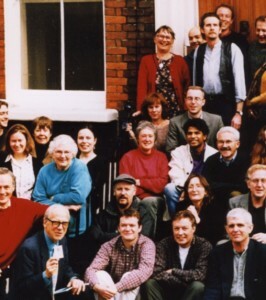 The first SSE cohort was run in 1998, from Bethnal Green in East London. Among the plucky young upstarts was Alastair Wilson, who is our current CEO – see if you can spot him in the photo below! In 2000, the SSE team realised our unique approach could work in other locations. We were awarded a £1m Millennium Awards Scheme to start up 10 local SSE programmes across the UK. Since then, we’ve helped thousands of people learn how to transform communities and help people in need. We’re still innovating, impacting communities, and having fun while we’re at it! A fair and equal society where the potential of all people is fully realised. To mobilise the experience of people from all backgrounds and support them to use entrepreneurial approaches to create lasting social and environmental change. 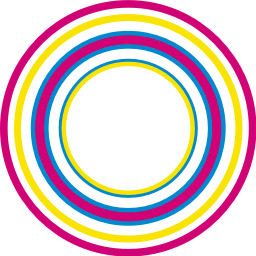 The School for Social Entrepreneurs has signed up to EW’s Inclusive Cultures Pledge 2018, because we are committed to improving the diversity of our organisation and building inclusive cultures.